Virtual Cycling within a spin class? Virtual cycling at Scenic Cycle, within a 45 minute spin class could be just the thing for you. 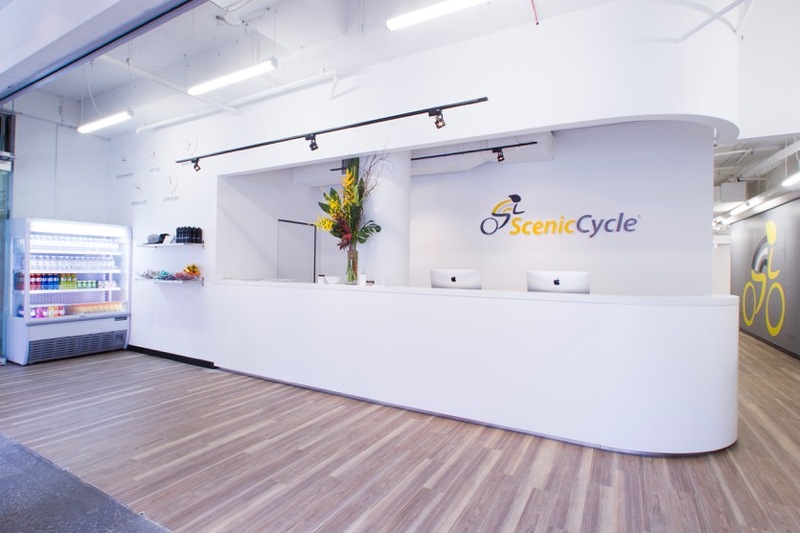 Located in the heart of Sydney’s CBD, Scenic Cycle is a state of the art cycle studio that combines innovative technology with basic training principles to give you a killer yet enjoyable cycle session. Founder Tom Sproats, has revolutionized the way indoor group cycling is done, taking riders on a mind blowing journey through some of the most spectacular cycling routes around the world. 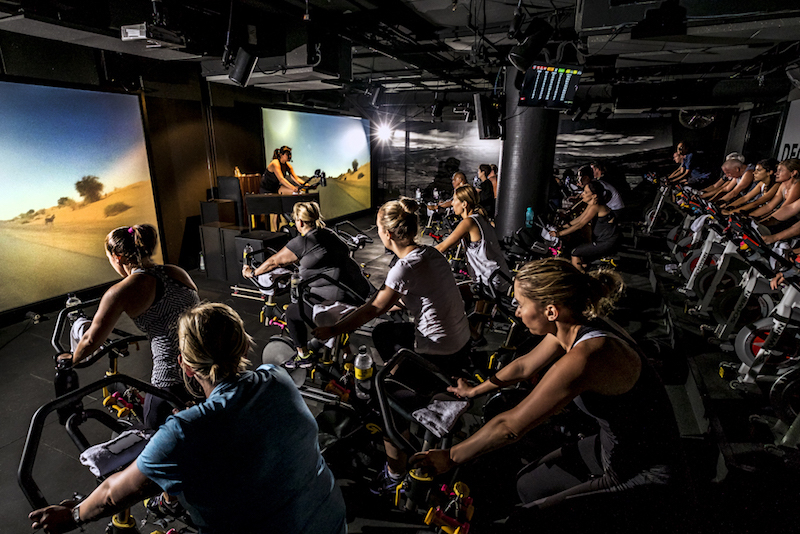 The studio comprises of two floor to ceiling screens which play real world footage of cycle tracks around the globe so you feel like you’re really there. What is the key concept of Scenic Cycle? Described by founder Tom Sproats, Scenic Cycle “synchronizes cycling, vision and music in a total body experience and a real world escape.” You’ll cycle through picturesque mountain ranges in Switzerland, the hustle and bustle of Central Park in New York City and even enjoy local rides through the Sydney streets. World-class instructors are also there to motivate and guide you every step of the way. What can I expect from a cycle session? Each session is 45 minutes long and covers a strategic combination of work and rest phases. Each workout is completed to perfectly matched heart pumping soundtracks, proven to help with motivation and improve endurance (https://bondibeauty.com.au/fitness/music-makes-you-work-out-faster-fact/). Every class guarantees a full body workout, even incorporating upper body weights into one of the tracks. Scenic Cycle promises to exceed your expectations in every ride and gives you a chance to escape to be your best. How is Scenic Cycle different from other spin classes? With innovative HD video technology showing some of the most spectacular cycling routes around the world, Scenic Cycle is unlike any other workout in the country. Riders are not only challenged physically, but enjoy an “out of body” experience to relax and refresh the mind. With specifically designed soundtracks, synchronized with each choreographed working phase, riders leave burning upwards of 800 calories per class. Scenic Cycle incorporates their signature ‘red zone’ into the final track of every session. The red zone involves all lights being switched off and riders cycle in pitch black for the last 5 minutes to end the session. By allowing individuals to block out all visionary senses and focus only on physical movement, breathing and the mind, the red zone mimics the practice of shavasana (meditation) used during yoga. Is Scenic Cycle for me? Scenic Cycle prides itself on getting the best performance out of any rider that walks in the door. 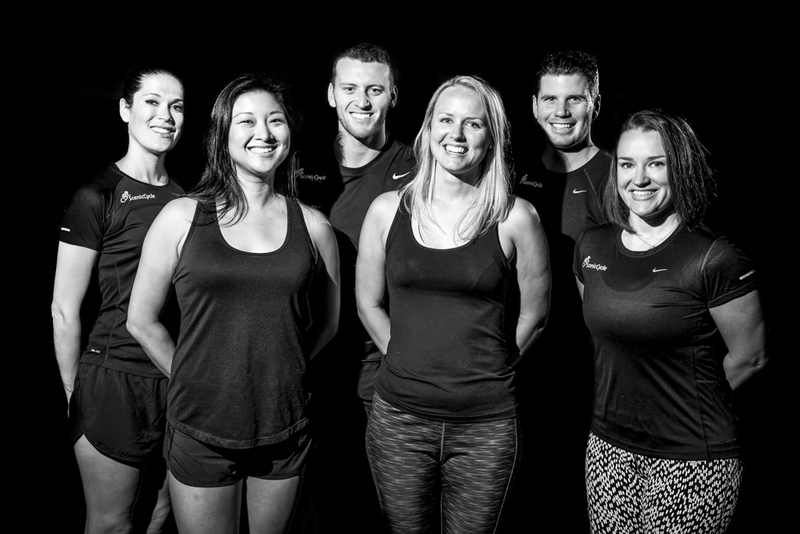 Instructors are passionate about making sure every individual leaves feeling eager for more, no matter what your fitness level. For riders wanting to simply enjoy the beautiful visions and escape the daily grind for 45 precious minutes, the Scenic Cycle environment is highly nurturing and supportive. On the other hand, for those riders looking to smash through their fitness limits, the studio has a back row of SCX bikes. These bikes are fitted with personal monitors that allow the tracking of power wattage, RPM and energy expenditure in real time (with results sent electronically to riders after class to allow constant monitoring of performance over time). Scenic Cycle is a place for everyone to escape and enjoy, no matter what your fitness goal. Scenic Cycle offer flexible payment options with no memberships required, no lock-in contracts and no expiry date of pre-purchased sessions. New riders can enjoy the introductory offer of $59 for 30 days of unlimited rides. With many flexible payment options, the most popular are $49/week for unlimited rides, 5 rides for $105 or a casual rate of $25 per class. Using new digital booking software, riders can book online and can even choose which bike they want. Scenic Cycle is located in Aurora Place, 88 Phillip Street, Sydney. 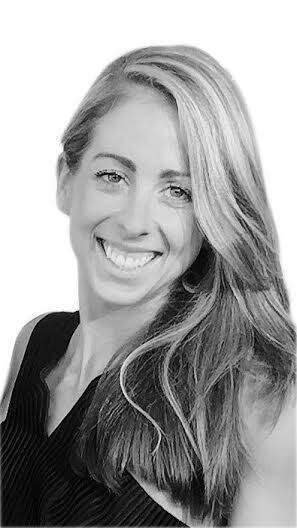 Stephanie is a qualified Exercise and Sport Scientist who lives and breathes all things health and fitness. An Eastern Suburbs local, Stephanie spends her weekends being active outdoors, sipping on an espresso and hunting down the best smashed avo toast in Bondi. She has travelled to 5 out of 7 continents, jumped off one skyscraper and out of one plane to date.